Join MNAEP on Thursday, November 15th for a presentation about the use of unmanned aerial vehicles, particularly for wildlife surveys. Presenter: Adam Kreger, Research Biologist, Western EcoSystems Technology, Inc.
As unmanned aerial vehicle (UAV) technologies rapidly evolve, their use in wildlife surveys and research is becoming increasingly common. Traditional wildlife survey methods are often time and labor intensive and can pose risks to surveyors and wildlife. UAVs may provide a cost-effective approach to wildlife surveys while minimizing potential on-the-job hazards and disturbance to wildlife. 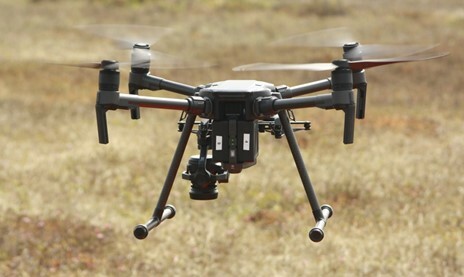 This presentation will examine recent advances in UAV technology, potential advantages of this technology over traditional survey methods, and recent efforts to validate and improve the effectiveness of UAV’s in various wildlife survey applications. The event will be held from 5:00 to 7:00pm at HDR’s office in downtown Minneapolis. If you park in the building’s ramp (located off 7th St) or from any of the main entrances, you can take the elevator to the “Skyway” level (Level 2). The doors open immediately in front of HDR’s office which has a glass front and a red strip down the middle of the floor. Drinks and appetizers will be provided. Free for members and $5 for nonmembers.